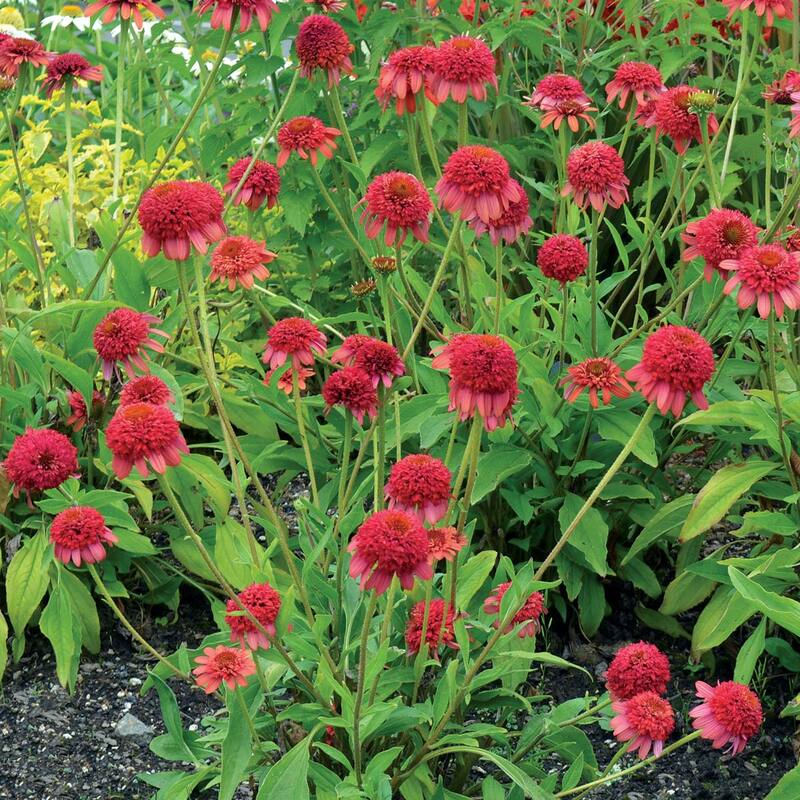 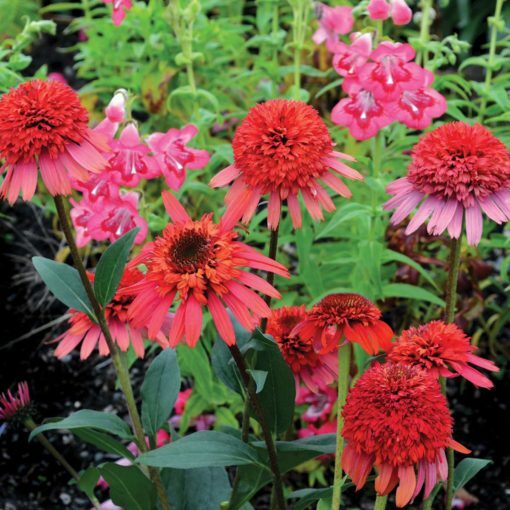 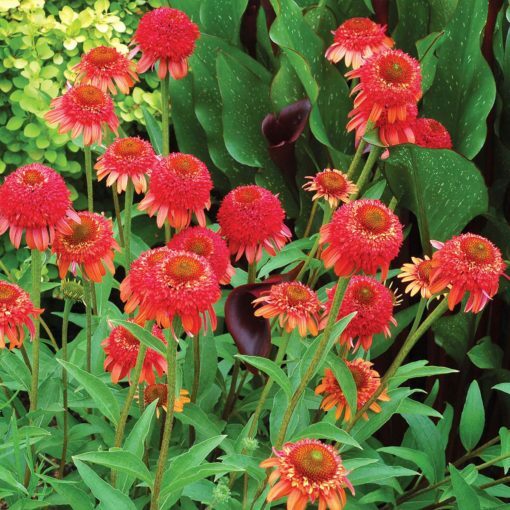 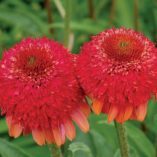 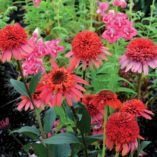 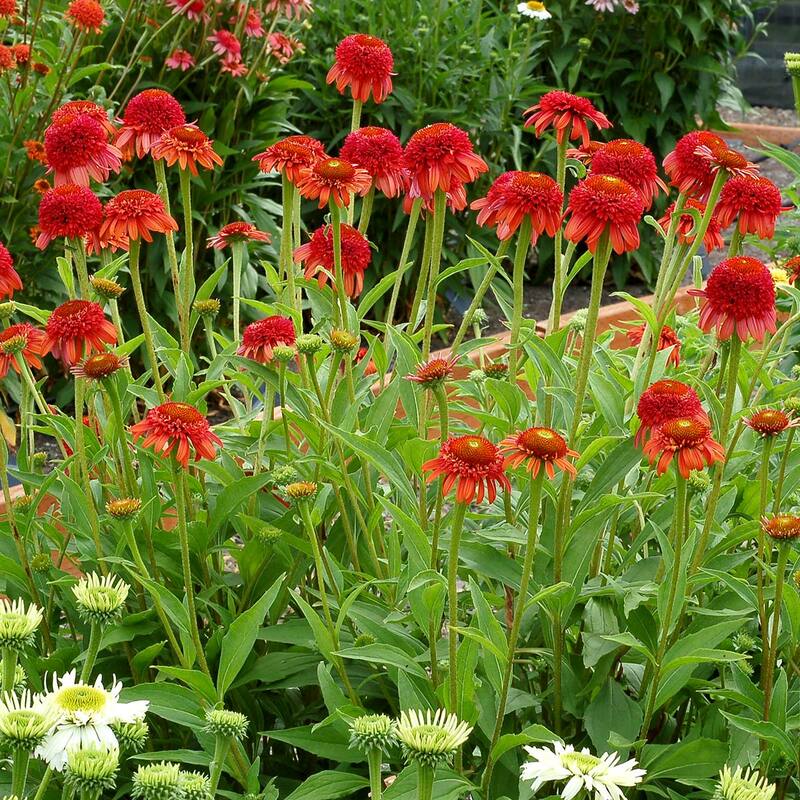 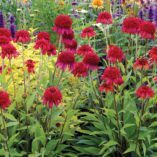 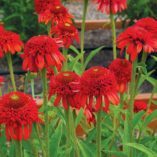 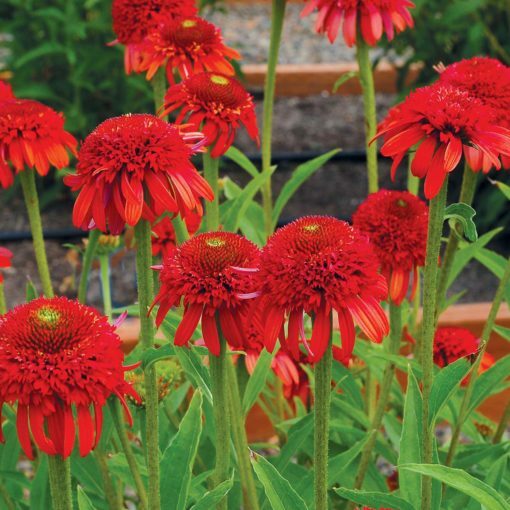 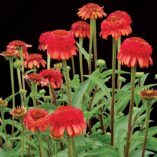 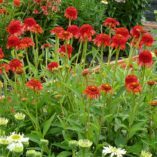 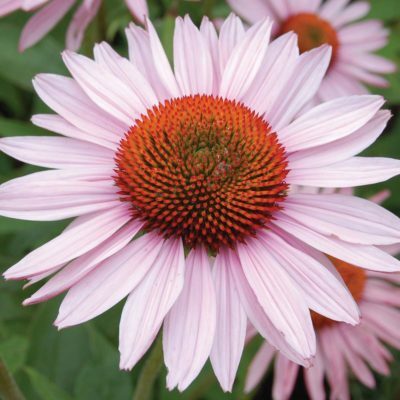 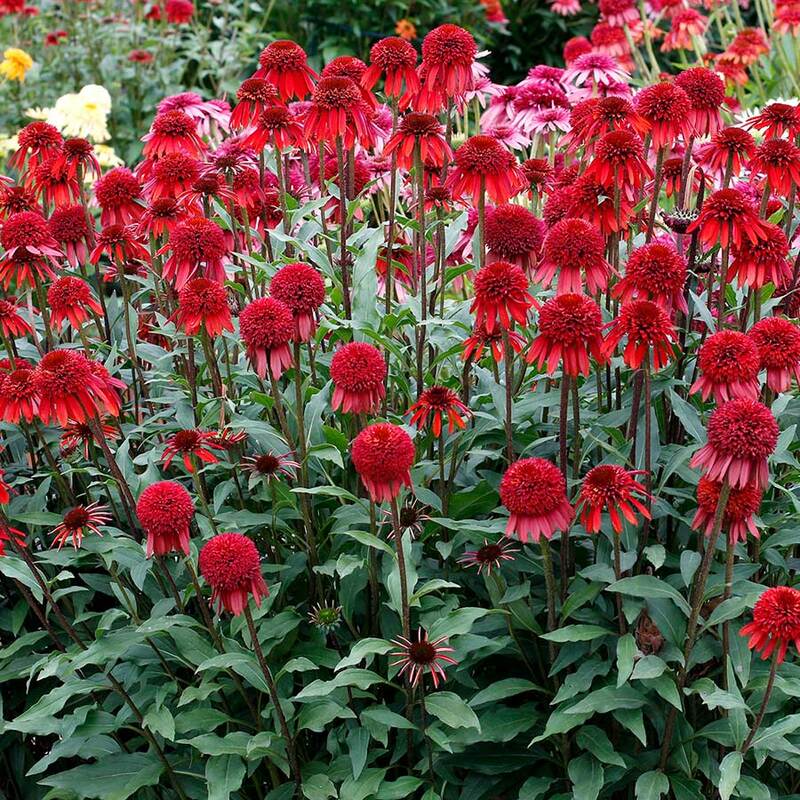 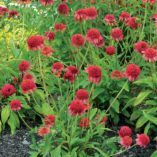 Echinacea ‘Meteor Red’ | TERRA NOVA® Nurseries, Inc.
Lovely double red anemone-type flowers shoot upward from an upright, well-branched plant. 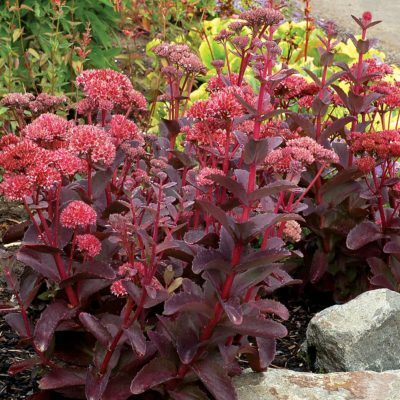 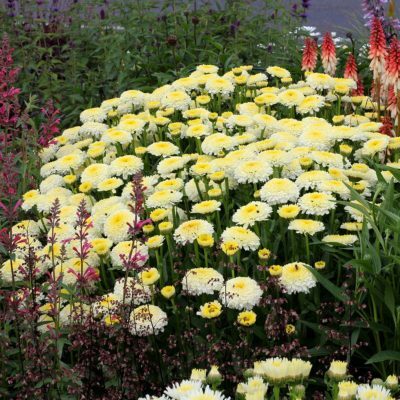 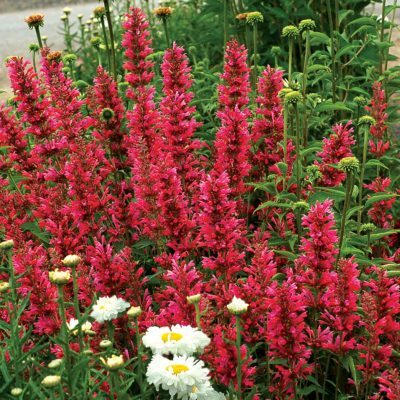 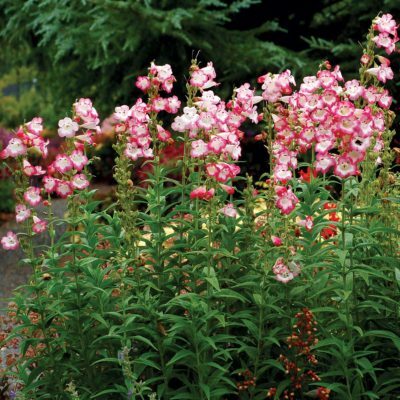 Blooming heavily from summer until frost here in Oregon, we have found these equally at home in containers or in the border, finding them particularly useful in front of grasses to cover ungainly “feet”. 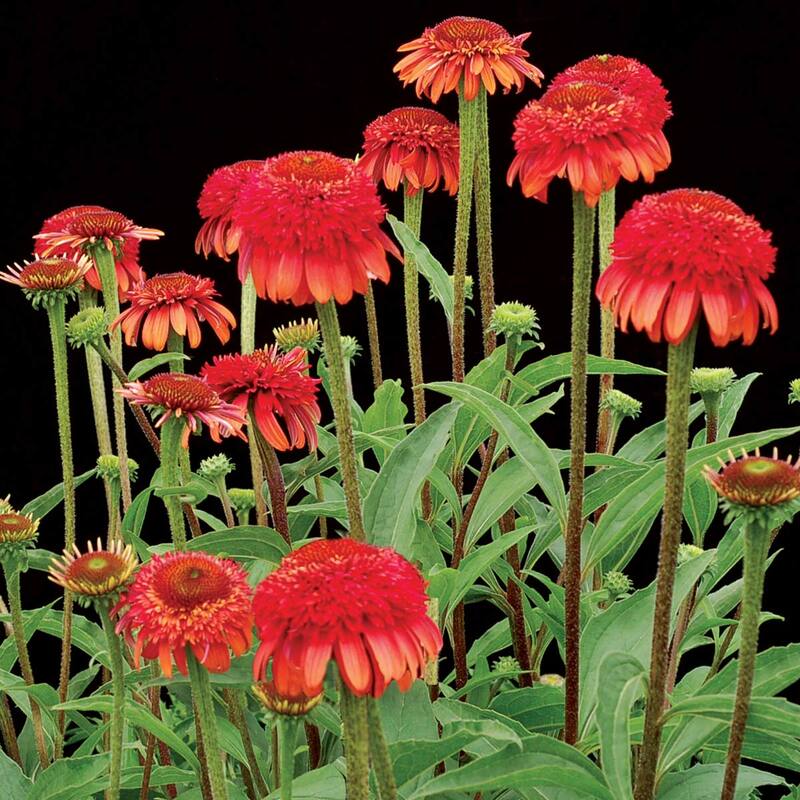 19" / 13" / 22"
Compared to 'Secret Love', it is a different red color and has lighter ray florets. Compared to 'Hot Papaya', it is shorter and more red with a better shaped flower.